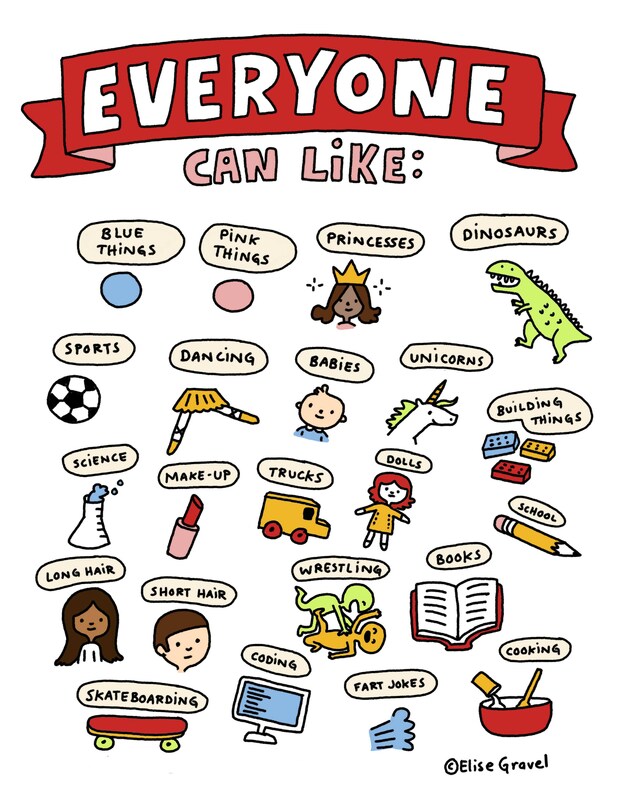 Here’s a mini-poster I made to teach kids that their gender should not define what they like. There is no such thing as “boy stuff” or “girl stuff”. Pink and blue are for everyone! For more free printable posters, visit my boutique in the “free printable stuff” section. If you want to license this image, contact my agent (Contact form above).